We all have times when our mind won’t stop racing. Something triggers the thoughts and they swirl around our head like a merry-go-round on fast forward. Why does the Ego have to be so cruel? Isn’t it bad enough that we have to deal with the situation at hand, whatever it might be but having to deal with our nasty and relentless Ego, it may often can feel like a slow torture. Rest be sured there are several ways to get off of the ridiculous ‘mind ride’’. Easy but not simple things we can do to get out of our head if we really try hard. First we have to look at why our mind/Ego likes to get us all tangled up in the drama it creates. 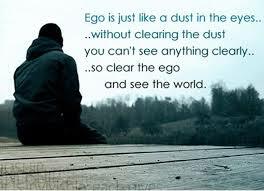 Our Ego stands for everything that we have been conditioned and programmed to believe is our truth. All of the ‘stuff’ that our Tribe, Teachers and Society have guided us to trust in. The Ego is all of our fears, every single one of them and when our Ego detects that there might be a thread of ‘change’ coming into our life, it uses those fears against us in the form of Drama! Drama is not only a sensation that we receive on the outer shell of who we are (when we wave our arms, shake our head, stomp our feet…. ), it is also a very distinct and extremely uncomfortable feeling we suffer on the inside of us. Deep down inside of our physical body somewhere lives our Soul. Our Soul isn’t made of flesh and blood, it exists entirely of energy. An energy that is completely on our side and most definitely our best and beloved friend. The difference between knowing what is coming from our Ego and those sensations we receive from our Soul, is fundamental in being able to deal with the drama. Drama that most often try’s very hard to control our life and torments us with the misery of our fears. Learning to distinguish the two, the Ego and the Soul takes time and patience, the key is not to be impulsive. If you are dealing with a situation of any kind, step back before you react. Take a few minutes to allow yourself to breathe, this will help you to connect to the energy inside of you, this will also allow you to manipulate your Ego so you can listen to your gut feelings. Trust what you ‘feel’, I know it isn’t the easiest thing to do, trusting ourself is difficult when you are not used to it. Persist in staying calm, breath to avoid being anxious and reside in uncomplaining, if you can work towards using these simple tools, you will have a easier time.